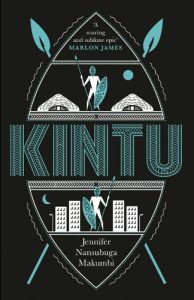 Bwesigye bwa Mwesigire reviews Jennifer Nansubuga Makumbi’s Kintu, which was recently awarded a prestigious Windham-Campbell Prize for Fiction. What voice do you hear when you read a written text silently? Does this voice change depending on the text you are reading? Is the language in which you hear what you read always the same as the one presented to you on the page? Do you sometimes hear the text in a different language? In an interview from October 1967, Ama Ata Aidoo declares that, to her, oral literature is an end in itself: ‘I believe that when a writer writes … it should be possible for the writer to sit before an audience and tell them the story … We don’t always have to write for readers, we can write for listeners. … my stories are written to be heard, primarily’. How do we read texts that are written to be listened to, to be heard? What reading practice does Aidoo’s writing philosophy demand from us? How do we read with our ears? ‘The ba kabaka did not give away their thrones like that,’ Jennifer Nansubuga Makumbi writes on page four of the Oneworld edition of her critically acclaimed debut novel, Kintu. Who are the ba kabaka? They are italicised—the reading voice has signalled that we are dealing with another language. A reader who speaks both Luganda and English knows that Makumbi could have translated ba kabaka as ‘kings’, so as not to interrupt the flow of the sentence. But she does not. Ba kabaka immediately switches on the language a Luganda speaker hears when reading Kintu. In Luganda, kings are ba kabaka—but it’s not as if there is no room to refer to the monarchs of other places by the words in the languages of those nations. One is more likely to call the British monarch a king; the Munyoro monarch, omukama; the Munyankore monarch, omugabe, and so on, than to call them the kabaka of Britain, Bunyoro or Nkore. Early on, then, the reader of Kintu understands that although the text on the page is English, this is also a Luganda novel—and that English’s tendency, as an imperial language, to obliterate other languages does not apply here. So Makumbi manages to dress up a Luganda novel in English words, using the Luganda words where she can’t find equivalents that would not lose the meaning she intends. On page eleven, for example, we hear that ‘the parents hung their heads in a now-you-see posture’. She does not have to use the Luganda words for ‘now-you-see’ because there are English words that suffice. This is not always an option: on page fifty-four, we hear that ‘Baale had been reluctant to marry because he still wanted to kulya butaala like an untethered goat.’ Kulya butaala is like the ‘chi’ of Chinua Achebe’s novels: it can only be rendered in the language of the novel because to find near equivalents would be detrimental to the intended meaning. Those who hear in Luganda will chuckle at the humour of kulya butaala; the rest can make do with the image of an untethered goat. For the Luganda speaker, as you’ve no doubt guessed by now, Kintu is a beauty. The way Makumbi chooses her words is for experienced lovers of the language’s pleasures. To the reader who does not hear Luganda, a sentence such as ‘Kintu had only licked on sleep’ could pass as just another collection of words carrying along the story. But heard in Luganda, the reader pauses to pay respect. Or, conversely, when we hear that ‘Nnanteza had played her mpiki better than Kintu had hoped’, we take for granted the layers of meaning, with our ability to understand what Makumbi means built-in. A reader who does not know of the mpiki, which are used to play the omweso board game, may feel a hint of irritation at the ‘foreign’ words in the text. But collectively they provide proof of Makumbi’s intentions as a novelist: to place Baganda, Ugandans, Africans—black people and their worlds—at the centre of her work. At a conference at Yale University last year, Simon Gikandi, talking about the untranslatability of Okot p’Bitek’s Song of Lawino, zeroed in on the last chapter of the epic poem, which rotates around the image and symbolism of the pumpkin, to illustrate the ways through which meaning does, or does not, travel across languages. He points out that in the Luganda translation, the pumpkin becomes ‘ensujju’, but in Kiswahili it simply becomes ‘mboga’, ‘vegetable’, and thus no longer really the pumpkin of the Acholi original. Gikandi supposes that this may be because the place of the pumpkin in a Ganda homestead is similar to its place in an Acholi one, but far different in a Kiswahili one. The meaning of the pumpkin in translation becomes, therefore, about meaning itself: it travels differently across languages and fits differently into the worldviews that they carry. The mpiki that remain untranslated in Kintu could have been rendered as ‘seeds’ used when playing ‘mancala’, but such a translation might have clipped the wings of the novel, and sucked dry its Luganda delight. Kintu’s oral aesthetic goes beyond its language, however, and into its story, which comprises a collection of origin myths and folk tales, many of which Makumbi has created, and a number of which she reinterprets, rewrites and turns upside down. In Luganda folklore, Kintu is the first man on Earth, the Adam of the Baganda. In her novel, Makumbi’s Kintu is Kintu Kidda, the ancestor-patriarch of his clan who, on a journey to pay respect to a new kabaka, in his position as a ppookino of the Buddu county, accidentally kills an adopted Rwandan immigrant’s son. The youth’s biological father curses him and his entire clan—a curse that leads to the suffering of his descendants, two-hundred-and-fifty years into the future. Five of the six novella-size books that make up the novel are about his descendants, and set in Buganda and Uganda’s post-independence era. The book’s general genius, then, is its ability to render stories that build on and reimagine myths in a written language all Makumbi’s own that is pleasurable to hear. The written and the oral are two forms that carry the story, in one book. Early on, Makumbi introduces a central image, which returns two centuries later to reveal connections and tie stories together. We hear that ‘family lore had it that in the old, old days, a woman gave birth to a bee that settled close to home and built a colony. The colony was called Kayuki and it supplied the family with honey’. Bees to the Kintu family are not just insects: they carry along messages, meaning, memories and history, and are a vehicle to the spiritual world. But, equally significantly, the way they are introduced also reveals Kintu’s specific genius, which is Makumbi’s resort to the art of the parable, the art of the folktale, the art of telling rather than showing. At first the gang of women mourned quietly, drinking their beer and enquiring about Britain as if they had come to the vigil out of goodness towards Kayita. At around two o’clock when the choir got tired, one of the women, stood up. ‘Fellow mourners,’ she started in a gentle voice as if she was bringing the good tidings of resurrection. A reverent hush fell over the mourners. In a world governed by the tyranny of the ‘show, don’t tell’ rule, it is gratifying to find Makumbi’s insistence on telling stories. Showing, after all, undermines the pleasures of the told story, denying the artistry of the oral tradition generally. Is the language of a story pleasing to the ear? Here, at last, it is. When we hear the story, as written, as we read silently, do we pause, to take a second bite, to enjoy one more time, or two, to the beauty of the image, or to laugh out loud at the humour? Here, at last, we do. Every book has a backstory. The manuscript of Chinua Achebe’s Things Fall Apart was saved by the colonial officer Angela Beattie, who retrieved it from a London typing agency that had ignored it. 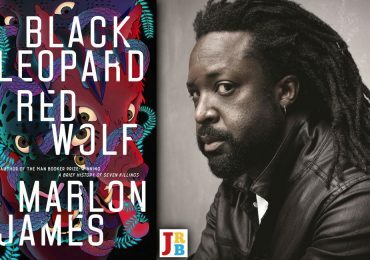 The manuscript of Marlon James’s John Crow’s Devil was rejected seventy-eight times, after which he destroyed it—including erasing it from his friends’ computers. It was a copy the future Booker Prize-winning author had emailed to a friend that saved the day. Kintu also has a popular backstory, but one that problematically coincides with colonial ideas about Africa and its rescuing. To wit: the story of how the manuscript that became Kintu was repeatedly rejected by British publishers, because of its ‘Africanness’, now stands in as the novel’s origin story. Said ‘Africanness’ has come to the fore following Makumbi’s winning of the Windham Campbell Prize this year. The news site Quartz’s headline declaring, ‘A Ugandan author once dismissed for being “too African” has won a major literary prize’, is representative. While Kintu is a landmark achievement, its backstory should not be one of the ‘overcoming the colonial odds’ variety. 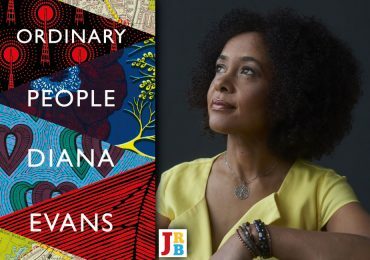 Rather, it should be one of the ‘embraced by the African literary establishment’ variety: for it was not rejected by African publishers; and is not ‘too African’ for African readers. It won the Kwani? 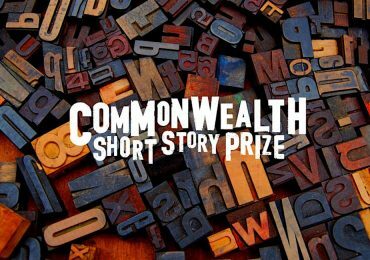 Manuscript Prize in 2013; was published by the Kwani Trust in 2014 and launched at Uganda’s Writivism Festival*; and its author was called, by Kenyan critic Khainga O’Okwemba, four years ago, ‘the ablest heiress’ to Achebe’s empty throne. I made the decision to write for Ugandans, specifically for the teenager I was, desperately impoverished of stories and characters like me or of my world, in the novels I read. I aspire for a Ugandan reader to pick up my book and immediately feel at home, as if Uganda is at the centre of the world, the way British or American books do. I need the Ugandan reader not only to feel comfortable in the landscape, but most of all in the language. I write to me, to the Ugandan, but when I step away, the story must make whoever reads it, feel Ugandan. 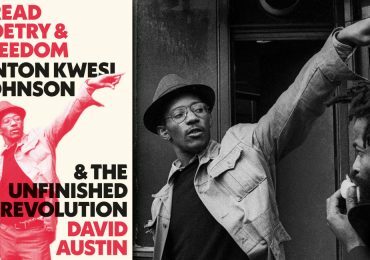 At the book’s launch in London this January (the United Kingdom edition is published by Oneworld), Makumbi briefly reflected on the issue of Bady’s Introduction, telling how Ugandan, Kenyan and African readers were generally livid at the apparent requirement for an explanation of the book to an American audience. She realised, at that point, she said, that the book no longer belonged to her: she gave Bady permission to write the introduction, after all; but now the new ‘owners’ of the book, as it were, disapproved. This concession to popular sentiment is not to say she discredits her own approach to storytelling, however: in an interview with Enkare Review (6), conducted after she won the Windham Campbell, Makumbi is quick to push back at the suggestion that Bady’s Introduction contributed to her win: ‘I would like to think that it was just the novel and only the novel’s merits’. * Bwesigye Bwa Mwesigire is a Ugandan lawyer and author, and one of the founders of Writivism and the Writivism Festival. this is really good Bwesigye Bwa! I am always in awe of your genius mind, but it feels really good “hearing” it here. 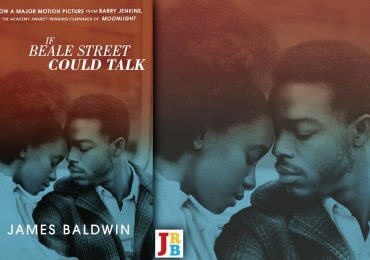 I’ve known of this book for a while now, never purchased it, but I want to buy it now. Particularly, if I can get to ‘hear’ what my nine-year old Ugandan/American will ‘hear.’ Thank you!